Halloween is coming and it's a perfect excuse to get crafting. 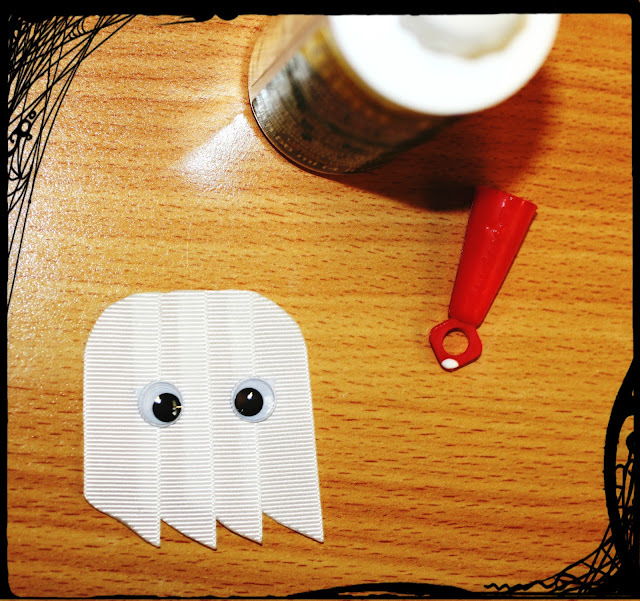 Follow these simple ten steps to make yourself your own little ghostie to celebrate the turn of the season! 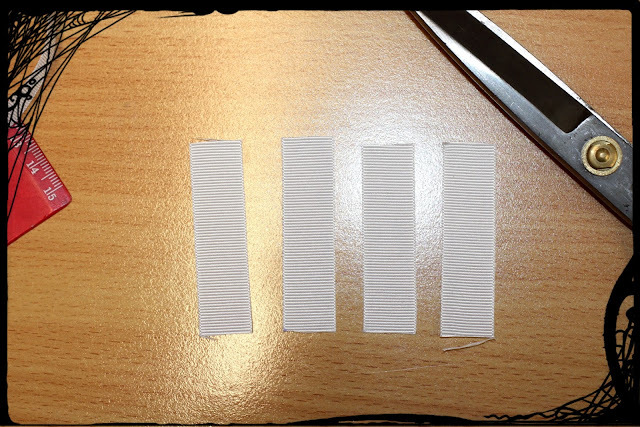 Snip your grosgrain into four pieces. I went for 6cm pieces, but it depends on how big/small you want your brooch! 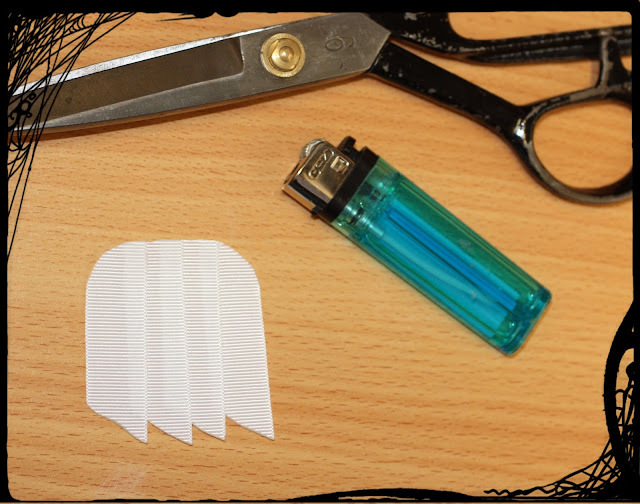 Cut a diagonal line across the bottom of your grosgrain, and seal ribbon with a lighter or other flame source. I used a lighter because I like the wavy line is can produce, adding to my ghostie's spooky effect! 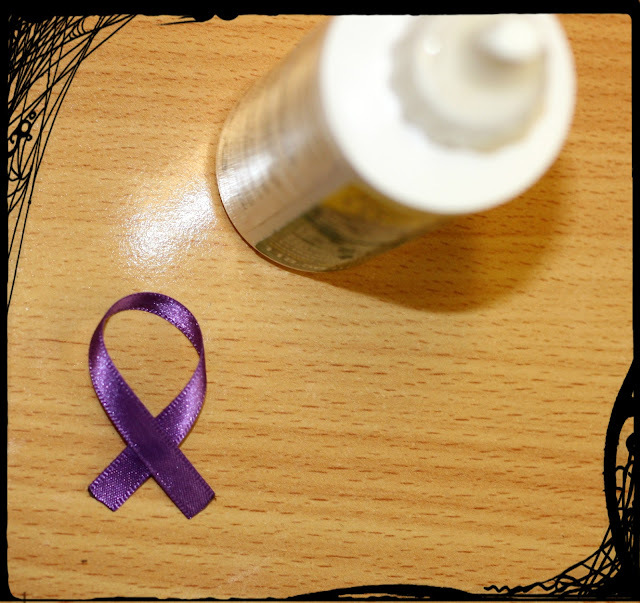 Glue your pieces together, overlapping each ribbon just before halfway. 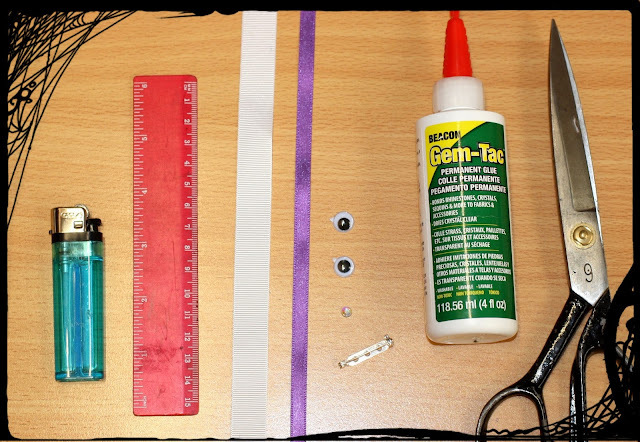 You don't need lots of glue for this, just a little gem-tac does the trick. Wait for the glue to dry! 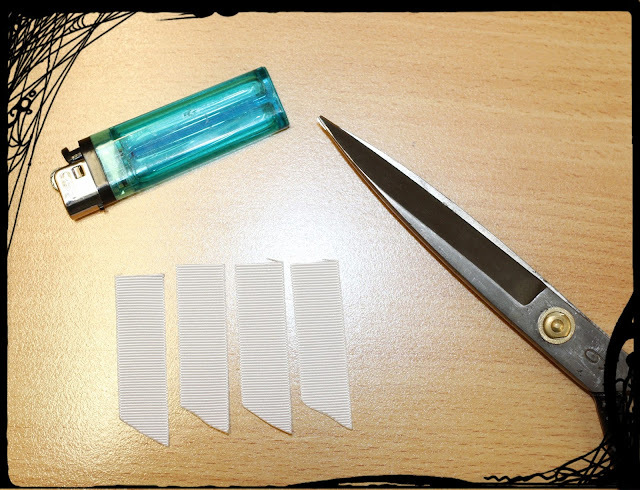 Once the glue in dry, curve the top of your ghostie with your scissors, and seal it again with your lighter or other flame source. I found this best to do over the joins, and then I added a tiny little bit of glue to the centre join about halfway down, just to keep it together. Now for the little bow. 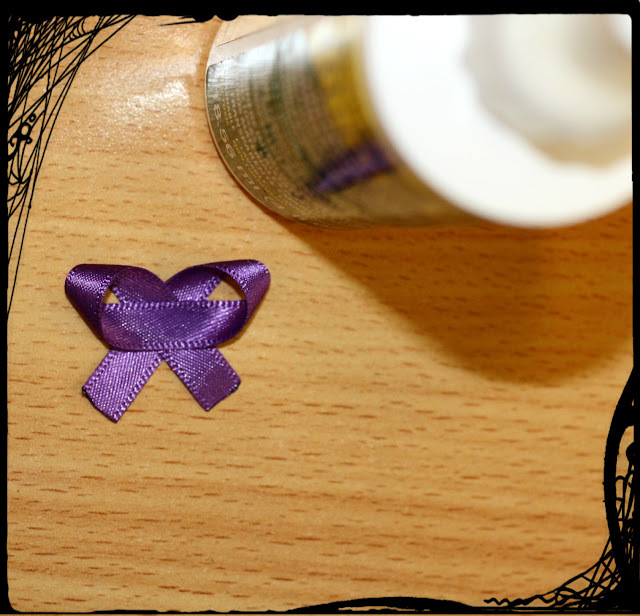 Cut about 10cm of your coloured ribbon (I went for purple!) and seal the ends. 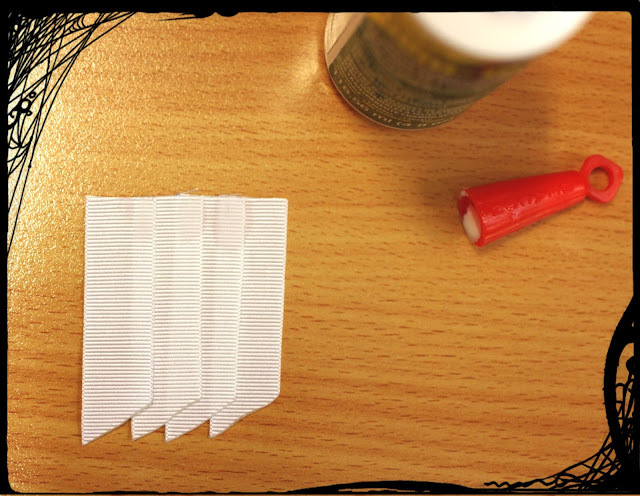 The easiest way to do this bit is to cross the ribbon as shown above and glue together. 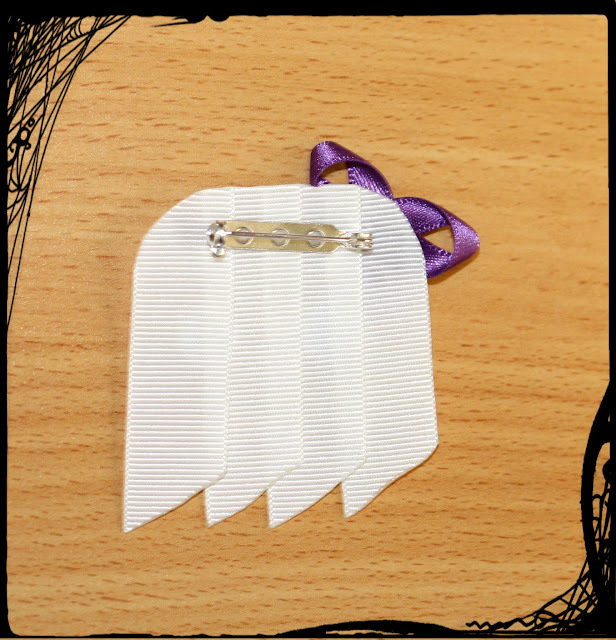 Flip your ribbon over and, pinching the middle, twist it over. Add a little glue over the back of your original join and stick it down. 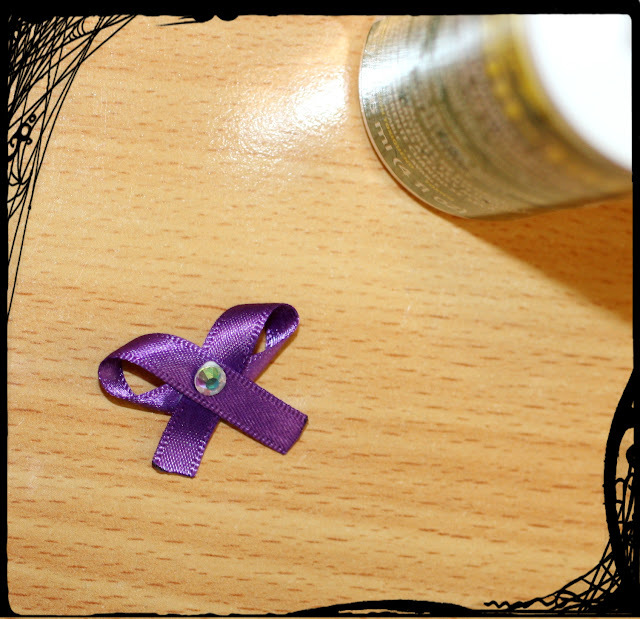 Glue a diamanté of your choice to the centre of your bow. Or a button! Or any sort of decoration that you see fit. 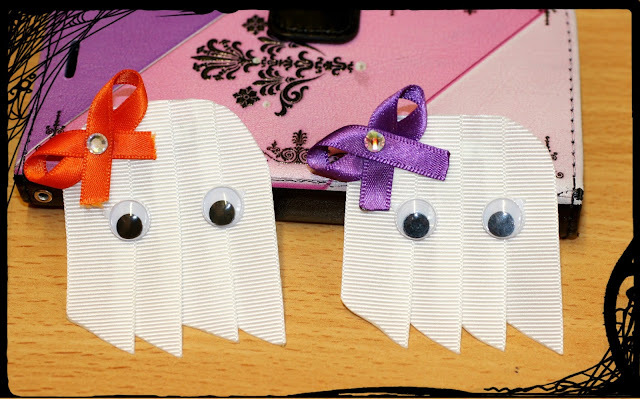 Press the ribbon into the top left hand corner of your ghostie and wait for it to dry. Finally, add your brooch pin to the back. I've glued mine, but it's also possible to sew it on if you feel that's appropriate. Alternatively, try hairbands or hairclips - the possibilities are endless! 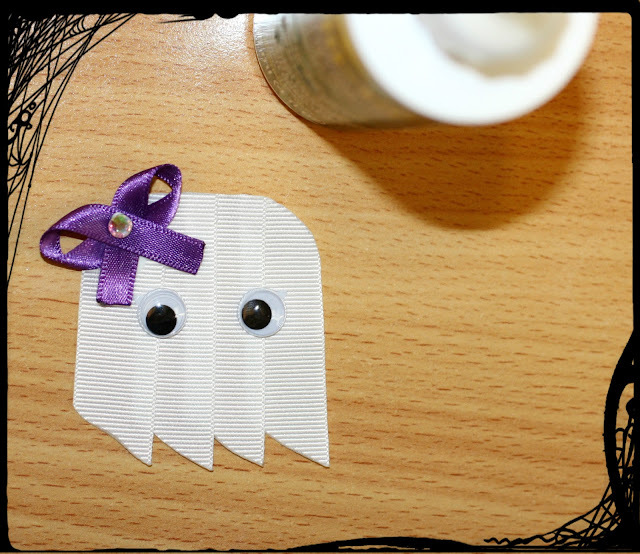 A quick wee ghostie brooch to put you in the mood for some Halloween crafting. If you have any questions, ideas, or creations of your own - feel free to send them to us at tara@josyrose.com.